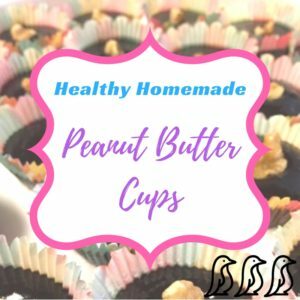 5-ingredient fudgy peanut butter cups are simple to make in just a few minutes, and are a delicious, healthier version containing no refined sugar! Prepare a muffin pan with 12muffin liners. Combine all ingredients in a medium bowl and whisk until smooth. Pour the mixture into the prepared muffin liners (each liner will be approximately half full). If desired, top cups with unsweetened shredded coconut or chopped nuts. Refrigerate the peanut butter cups until hard, at least 30 minutes. Store cups in the refrigerator.